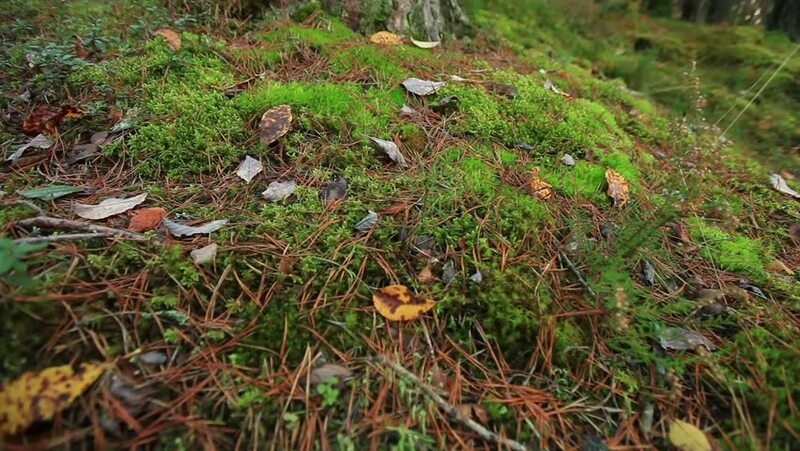 Dolly shot of moss in the forest. hd00:13Green natural background. Swaying tree branches.